Some people call your bluff, but you really are 'Hot Stuff'. You like rocker boys with five o'clock scruff and even get into mischief. Enough is enough, so it's time for the fashionable fluff of Francesco Biasia™. 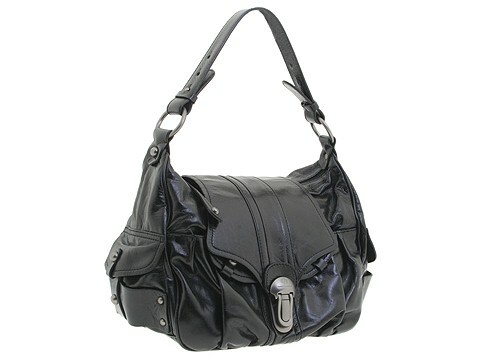 Shoulder bag made of genuine leather. Holds your wallet, sunglasses, personal technology and a bottle of water. Dimensions: 14 wide x 6 deep x 10 high. Single shoulder strap. Shoulder drop: 8 1/2 length. Side exterior pockets. Platform bottom. Flap with buckle and top zip closure. Interior lining with a back wall zip pocket and multifunctional slip pockets.